Chana Wilson is a psychotherapist and a former radio producer and television engineer. She began her career in broadcast journalism as a radio programmer with KPFA in Berkeley, California. Her work hosting the KPFA program "A World Wind"--in which she interviewed poets, musicians, writers and activists--sparked her desire to work with people on a deeper level. Now a psychotherapist for twenty-four years, she credits the extraordinary courage of her clients for inspiring her to write. Wilson's writing has appeared in the print journals "The Sun" and "Sinister Wisdom, " the online journals "Roadwork" and "Aunt Lute, " and in several anthologies. Since the mid-eighties, Wilson has been playing percussion with the women's samba band Sistah Boom. "Chana Wilson's astonishing story is a hybrid of nightmare and fairy tale in which every child's worst fears and fondest hopes about their mother come true." 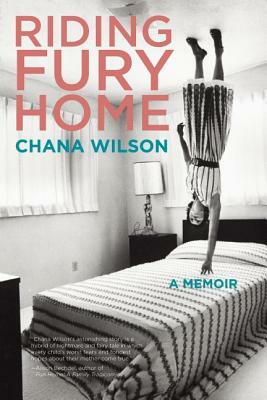 "Chana Wilson has done a wonderful thingputting on the page so much grief, fear, and stubborn awe-inspiring endurance. We rarely look closely at complicated relationships like the one she had with her mother, and even more rarely look at how they change over time. This is not heroes and villains, but a layered, intimate exchange in which it seems the child is never quite allowed to be a childand yet still manages to hang onto a carefully constructed loving closeness."